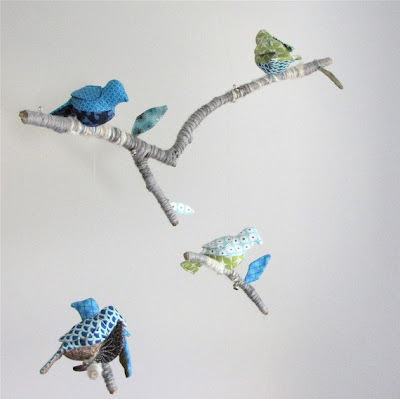 Whimsical fabric birds are sure to stimulate imaginations of any age. I can't think of a better way to welcome a new little one than with this unique and creative mobile. Bright colors and bold patterns that inspire life. Find it at Baby Jives.